For as long as there has been Santa Claus, there have been Elf doors. Santa would send his elves to watch over the children of the world, and report back to him who were Naughty, and who were Nice. 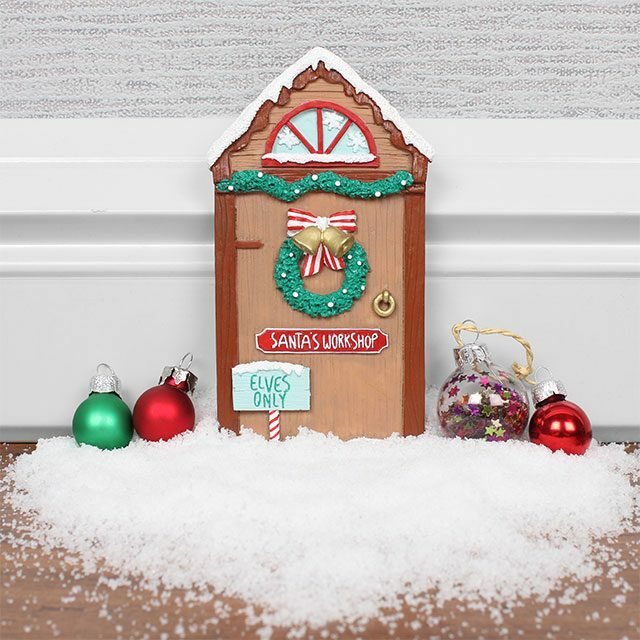 The elves of The North Pole Postal Company, love to share their elfish Chritsmas magic, and have worked hard to replicate one of our Workshops’ front door. Brightly painted, and beautifully finished, this elf door acts as a magical passageway for the elves of The Behavioural Analysis Department, to check the Naughty or Nice status of the little ones in your life. All of the elves, especially Jingle, hope it will create a little bit of magic in your home, and remind your little ones that Santa’s elves are always nearby, and that Cristmas is just around the corner. NB – Fingle, Head of Elf and Safety, reminds you this is not a toy, but an ornament.